The CES show floor might be filled with hundreds of TVs that put your local electronics store to shame, but the real treasures of the show, the TVs packed with technology we’ll have to wait for years to buy, are hidden in back rooms away from greasy fingers. Except ours, of course, as we had a chance to treat our eyes to the concepts LG Display brought to CES 2018. The company’s most impressive reveal at the show is a record-breaking 88-inch OLED TV featuring glorious 8K resolution. If you’re crunching the numbers, that’s a total of 33 million self-emitting pixels that can be individually brightened and darkened to produce an image with enough contrast that it actually creates the illusion of depth. LG Display wasn’t exactly keen on people pawing at its screen, but it genuinely felt like I could reach out and touch the images being flashed in front of my eyes. Watching something as compressed as Netflix on this TV would be a crime against your eyes. There’s no timeline on when any of us will be able to buy this for our living rooms, nor any indication of how many successful startups we’d have to sell to Google or Facebook to afford one. 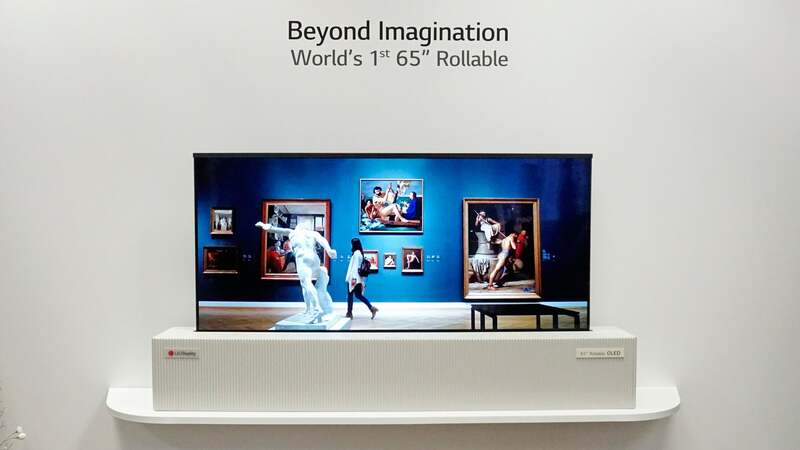 Equally wonderful, and equally unattainable, is LG Display’s 65-inch OLED screen that can be completely rolled up like a poster thanks to the use of an underlying flexible plastic substrate instead of glass. Ease of portability aside, LG Display showed off a unique application of the technology, with a custom-engineered TV that could be fully retracted into a box for those times when you don’t want a 65-inch black panel cluttering up your living room. How the OLED screen is able to completely roll away while still remaining rigid while it’s being unfurled is a secret LG Display wasn’t willing to share with anyone. But the display doesn’t have to be completely retracted, you can lower it only part way allowing you to change its aspect ratio from the 16 x 9 of HDTV to something narrower that’s better suited for watching movies without unsightly letterbox bars. It was hard not to lust over every last TV LG Display had in its secret room, but we walked away equally impressed with LG Display’s latest application of its Crystal Sound OLED technology that first debuted at last year’s CES. Using transducers to vibrate the display’s glass panel, the screen can actually function as a speaker itself, removing the need for a sound bar or other unsightly additions. This year the technology behind it was made even thinner and more invisible, but LG Display also incorporated into a concept laptop. To produce the booming deep bass sounds of a bomb exploding in a game, the laptop still has traditional speakers that will vibrate the table it sits on. 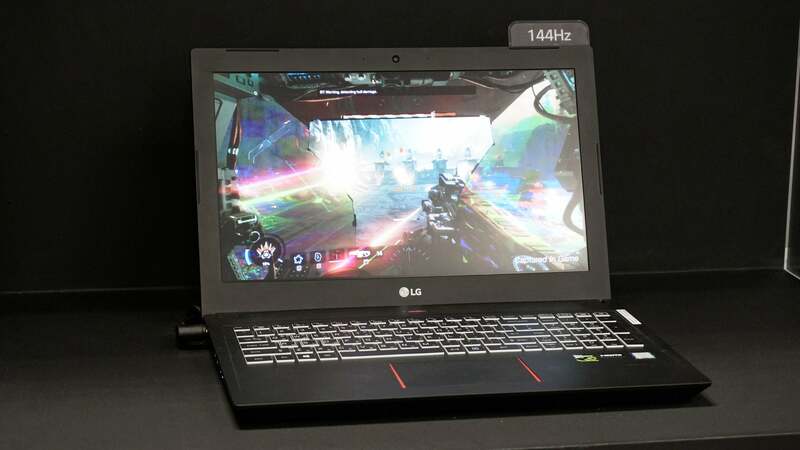 But the laptop’s screen now steps in to reproduce the higher frequencies, like a game’s soundtrack, or character voices. It was a brilliant use of the Crystal Sound OLED technology, as laptop speakers often leave something to be desired in terms of sound quality. But LG Display wouldn’t divulge any details as to when we’d actually see laptops with the improved screens and sound systems.